LOS ANGELES, CA – FOX Sports, home of the CONCACAF Gold Cup, continues tournament coverage with quarterfinals doubleheaders on Wednesday, July 19 and Thursday, July 20, as eight teams, including CONCACAF giants Mexico and the U.S. MNT, compete for a place in the semifinals. Wednesday’s doubleheader features the Americans against El Salvador and a clash between Costa Rica and Panama. The U.S. MNT, which finished first in Group B, squares off against El Salvador at 8:30 PM ET on FS1. 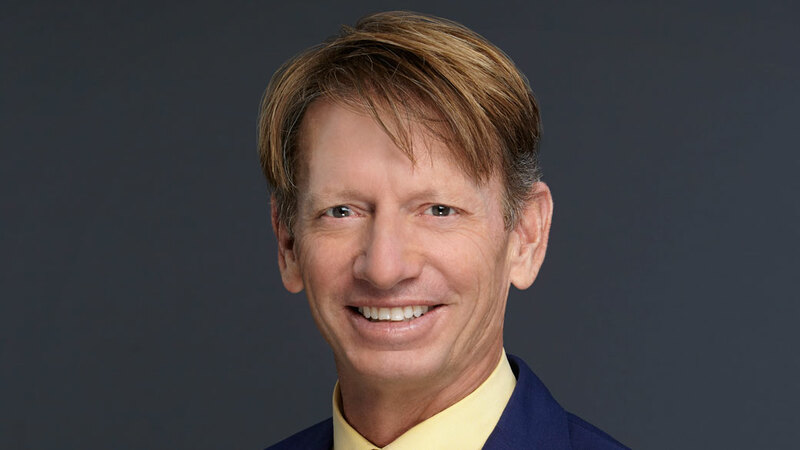 Rob Stone anchors studio coverage from Los Angeles alongside former U.S. Hall of Famer Alexi Lalas, two-time U.S. WNT Olympic Gold Medalist Aly Wagner and Emmy-award winning broadcaster Fernando Fiore, with Dr. Joe Machnik weighing in as rules analyst. 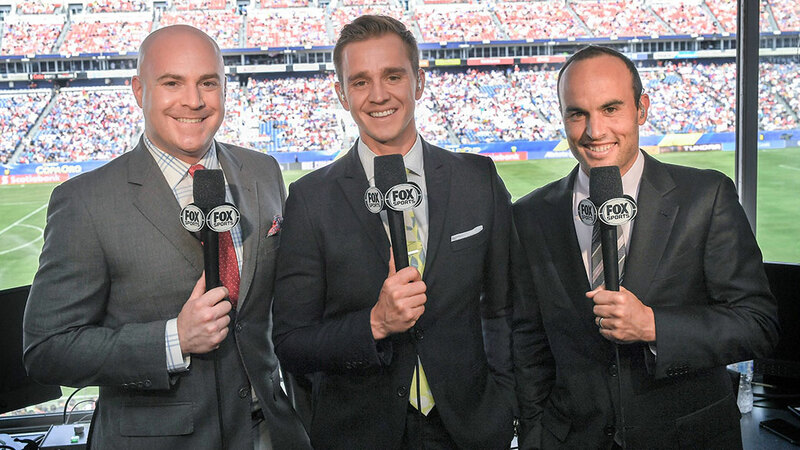 Lead play-by-play analyst John Strong, former U.S. MNT midfielder Stu Holden and U.S. MNT all-time leading goal scorer Landon Donovan call the match live from Philadelphia’s Lincoln Financial Field, with Jenny Taft reporting from the sidelines. Earlier in the day, Costa Rica’s Los Ticos and Panama’s Los Canaleros open knockout-stage competition at 6:00 PM ET on FS1. Keith Costigan and Eric Wynalda are on the call for Costa Rica-Panama. Thursday’s lineup features battles between Mexico and Honduras, and Jamaica’s Reggae Boyz and Alphonso Davies’ Canada, beginning at 6:30 PM ET on FS1. Stone hosts pregame coverage alongside Lalas, Fiore and former Mexican National Team member Mariano Trujillo. Famed American soccer announcer JP Dellacamera calls Mexico-Honduras (FS1, 10:30 PM ET) alongside former U.S. MNT goalie Brad Friedel with special reports from Francisco X. Rivera reporting live from the University of Phoenix Stadium. Glenn Davis and former U.S. MNT legend Cobi Jones are on the call for Jamaica-Canada (FS1, 7:30 PM ET). All matches can be live streamed via FOX Sports GO and FOX Soccer 2Go. FOX Sports GO is available on FOXSportsGO.com or on the FOX Sports GO app, which can be downloaded from iTunes, Google Play, Amazon App Store and Windows Store. Streaming is also now available on several connected devices, including Apple TV, Android TV, FireTV, Roku, Chromecast and Xbox One. CHARLOTTE, NC – Former NASCAR champion and regular FOX Sports analyst Kevin Harvick joined FOX Business Network’s MORNINGS WITH MARIA today from the NASCAR RACE HUB studio to discuss Wednesday’s NASCAR CAMPING WORLD TRUCK SERIES race at Eldora Speedway, which airs on FOX Business Network live at 9:00 PM ET. He and co-host Dagen McDowell also discussed his increased visibility in the FOX Sports television booth and a possible on-camera career post-racing. Harvick, driver of the No. 4 Stewart-Haas Racing Ford, has qualified for the Monster Energy NASCAR Cup Series playoffs and currently sits fourth in points. He is serving as a FOX NASCAR analyst for the Eldora race alongside Vince Welch and Michael Waltrip. Below are excerpts from Harvick’s interview. To watch the interview in its entirety, CLICK HERE. Also below is a Q&A with Mark Smith, lead race producer for the NASCAR CAMPING WORLD TRUCK SERIES on FOX Sports. Smith, who possesses a wealth of dirt-racing production experience, played a pivotal role five years ago in helping acclimate FOX NASCAR’s production team to dirt racing. McDowell: FOX Business is going to be broadcasting the Truck race on dirt. Please tell the viewers why they should be watching Wednesday night. McDowell: Tony Stewart, as the owner of Eldora, is very dedicated to making sure that the track is in tip-top condition. McDowell: Do you want to do TV full-time when you stop racing? The 72nd U.S. Women’s Open Championship at Trump National Golf Club in Bedminster, N.J., is well underway. Competition began Thursday, July 13, and continues today, Friday, July 14, with first and second round action from 2:00 to 7:00 PM ET both days on FS1. 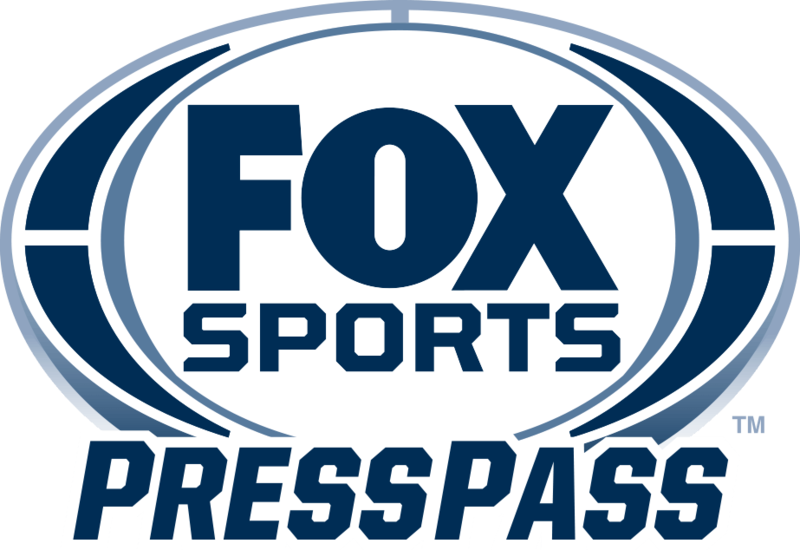 Coverage shifts to the FOX broadcast network for third and final round coverage on Saturday, July 15, and Sunday, July 16, from 2:00 to 7:00 PM ET. WATCH: How will rainy conditions affect second-round play? LOS ANGELES, CA – Today, FOX Sports announces former two-division world champion Danny Garcia joins the FOX Sports broadcast team as an analyst for PREMIER BOXING CHAMPIONS: OMAR FIGUEROA VS. ROBERT GUERRERO live on FOX and FOX Deportes Saturday, July 15 (8:00 PM ET), from NYCB LIVE’s Nassau Veterans Memorial Coliseum on Long Island, N.Y.
Garcia joins host Brian Kenny, blow-by-blow announcer Brian Custer and fellow analyst and longtime boxing trainer Virgil Hunter. On FOX Deportes, Jessi Losada joins blow-by-blow announcer Ricardo Celis to call the action in Spanish. The main event features the matchup between former world champions Omar “El Panterita” Figueroa (26-0-1, 18 KOs) and Robert “The Ghost” Guerrero (33-5-1, 18 KOs). 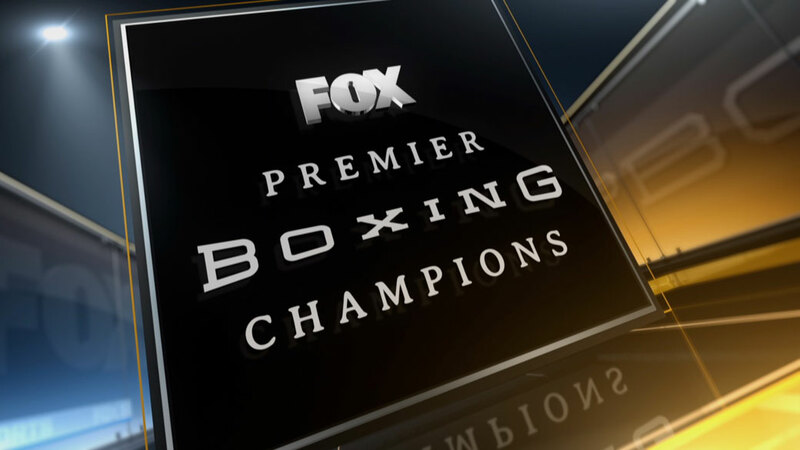 The fifth installment of PBC on FOX and FOX Deportes sees Staten Island’s unbeaten contender “Sir” Marcus Browne (19-0, 14 KOs) battling undefeated Long Island native Seanie Monaghan (28-0, 17 KOs) in a light heavyweight showdown. Also televised in prime time, Artur Szpilka (20-2, 15 KOs) meets Adam Kownacki (15-0, 12 KOs) in an all-Polish heavyweight showdown that promises fireworks. Follow on Twitter at: @MrBrianKenny @BCusterTV @DannySwift @virgilhunter7 @SBRFlores @PremierBoxing @FOXSports @FOXDeportes and @Swanson_Comm. Fans can live stream the fights on FOX Sports GO, available in English or Spanish through the FS1 or FOX Deportes feeds. The fight is available on desktop at FOXSportsGO.com and through the app store, or connected devices including Apple TV, Android TV, Fire TV, Xbox One and Roku. In addition, fights are also available on FOX Sports on SiriusXM channel 83 on satellite radios and on the SiriusXM app. NEW YORK, NY – FOX Sports today announces its all-star lineup of exciting announcers, expert analysts, veteran hosts and intrepid reporters set to cover the network’s best-ever college football schedule when the season kicks off next month. Today’s announcement was made by John Entz, President of Production & Executive Producer, FOX Sports. Play-by-play announcer Gus Johnson and analyst Joel Klatt return for their third season together in the booth as FOX Sports’ lead college football voices and are joined by sideline reporter Jenny Taft. 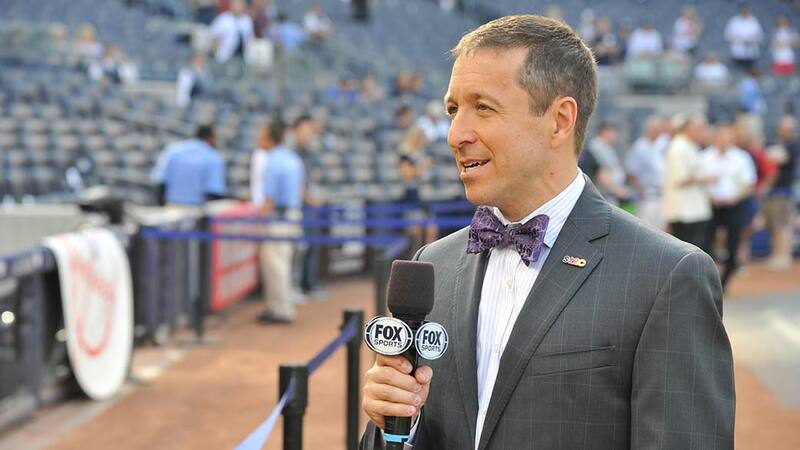 Taft has been part of FOX Sports college football since 2014 and also serves as a reporter for the network’s soccer and supercross coverage, as well as in a variety of other roles. Johnson, Klatt and Taft pull double-duty on opening weekend beginning with Washington at Rutgers on Friday, Sept. 1, with coverage beginning at 7:00 PM ET on FS1 for the first Big Ten home game on the network, before flying across the country for Texas A&M at UCLA on Sunday, Sept. 3, on the FOX broadcast network, with coverage getting underway at 7:00 PM ET. Also back in the booth are play-by-play announcer Joe Davis and analyst Brady Quinn, this season joined by sideline reporter Bruce Feldman, who also contributes to FOX Sports’ college football studio coverage. Play-by-play announcer Tim Brando and analyst Spencer Tillman also return in 2017 and are joined on the sidelines by Holly Sonders. 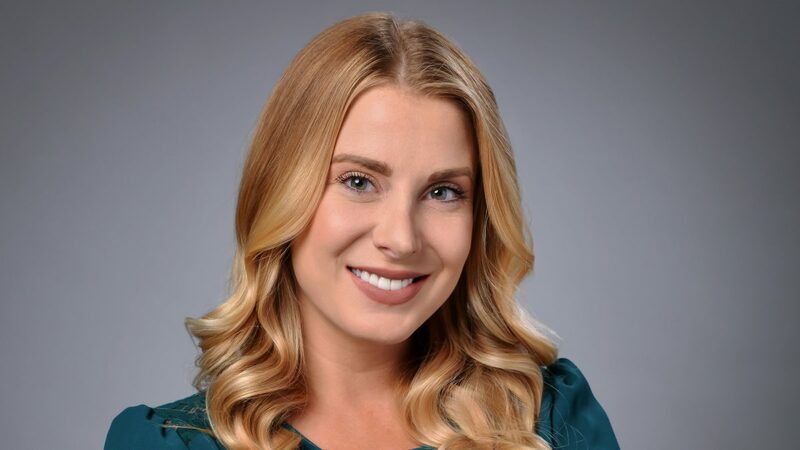 A native of Ohio and former student-athlete at Michigan State, Sonders has been a mainstay on the network’s golf coverage for the past three years and has also served as a sideline reporter for select NFL broadcasts. Host Rob Stone is in studio for pregame, halftime and postgame coverage on FOX and FS1, once again joined by analysts Matt Leinart, a Heisman Trophy-winning quarterback at USC and member of the College Football Hall of Fame Class of 2017; Robert Smith, a standout running back and track athlete at Ohio State before enjoying a successful NFL career with the Minnesota Vikings; and Dave Wannstedt a former college and NFL championship coach. Mike Pereira and Dean Blandino serve as rules experts. 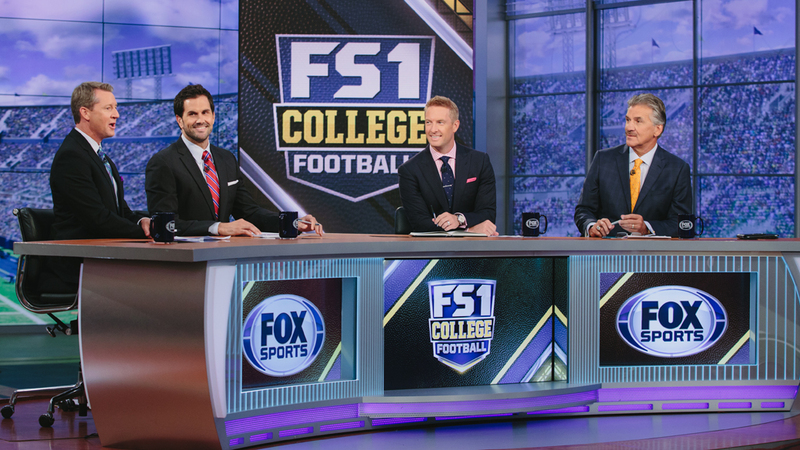 Before the 2017 campaign officially kicks off, FS1 presents the FOX COLLEGE FOOTBALL KICKOFF preview show on Sunday, Aug. 27, at 12:00 PM ET, before a FOX NFL preseason doubleheader. Stone is joined by Klatt, Smith, Leinart and Wannstedt to discuss the top storylines heading into the new season. “I’m definitely going to make sure I have a lot of good meals and enjoy the food that the city has to offer. “It’s been a fun week being the defending champion. I have to get a little more focused and get ready to play great. 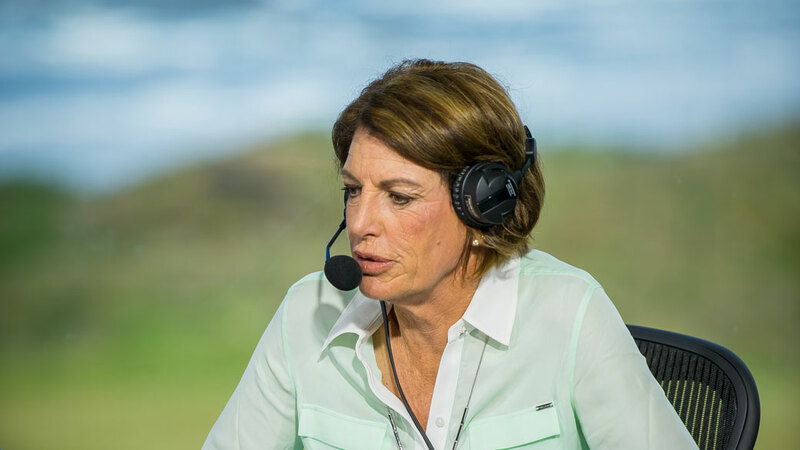 Television coverage of the first round of the U.S. Women’s Open Championship begins tomorrow, Thursday, July 13, from 2:00 to 7:00 PM ET on FS1. A concurrent live stream and alternate featured groups feed are also available via FOX Sports GO. In addition, bonus coverage of early first-round action is available on usga.org from 10:00 AM to 12:00 PM ET. MIAMI – The 88th Major League Baseball All-Star Game presented by Mastercard, from Marlins Park in Miami last night, was a star-studded celebration of baseball’s greatest. Highlighted by a pregame salute to the best Latin American-born baseball players in history, including members of the National Baseball Hall of Fame, the event delivered a combined 9.442 million viewers across FOX, FOX Deportes and FOX Sports GO, up +7% vs. last year’s combined audience of 8.829 million viewers. FOX’s broadcast scored a 5.5/11 fast-national household rating/share, with an average audience of 9.280 million, according to Nielsen Media Research. Tuesday night’s fast-national viewership is up +7% over last year (vs. 8.707 million viewers) and is the biggest increase for an All-Star Game since 2008. FOX’s total audience figure of 23 million viewers surpassed last year’s figure by +6% (vs. 21.7 million viewers). MLB’s All-Star Game reaffirmed its prominence as the No. 1 All-Star event in American sports. FOX enjoyed year-over-year ratings increases across all major demographics according to Nielsen Media Research, with Men 18-49 up +7% (3.1 vs. 2.9), Men 25-54 up +3% (3.7 vs. 3.6), Adults 18-49 up +5% (2.3 vs. 2.2), and Adults 25-54 up +4% (2.8 vs. 2.7). Last night’s telecast is FOX’s highest-rated and most-watched event since the Daytona 500 in February and is projected to be the network’s best Tuesday night since Game 6 of the 2016 World Series in November. Initial tune-in for last night’s game began at a 4.8/10 household rating/share (7.997 million viewers) from 8:16 PM ET – 8:30 PM ET and peaked at a 5.9/11 (10.024 million) from 10:00 – 10:15 PM ET. FOX Deportes averaged 114,000 total viewers, up +18% over last year (vs. 97,000 viewers) and is the second most-watched MLB All-Star Game in the network’s history. FOX Sports GO, the live streaming platform that showcases all of FOX Sports’ live events and studio programming, delivered an average-minute audience of 49,441, nearly doubling last year’s average-minute audience of 25,057. Last night’s game (8:16 PM ET – 11:39 PM ET) beat the 8:00 – 11:00 PM ET primetime average of each of the other major broadcasters among Adults 18-49 with 2.996 million viewers in the demo. On FOX and FS1, 2017 MLB regular-season ratings are up a combined +4%, and across FOX Regional Sports Networks, MLB ratings are up +1% so far this season, year-over-year. CHARLOTTE, NC – The FIA Formula E Championship arrives in Brooklyn this weekend for the inaugural Qualcomm New York City ePrix, with FOX Sports offering multi-platform coverage of the historic two-race event, highlighted by Sunday’s live coverage of Round 10 of the all-electric series on the FOX broadcast network, beginning at 1 PM ET. 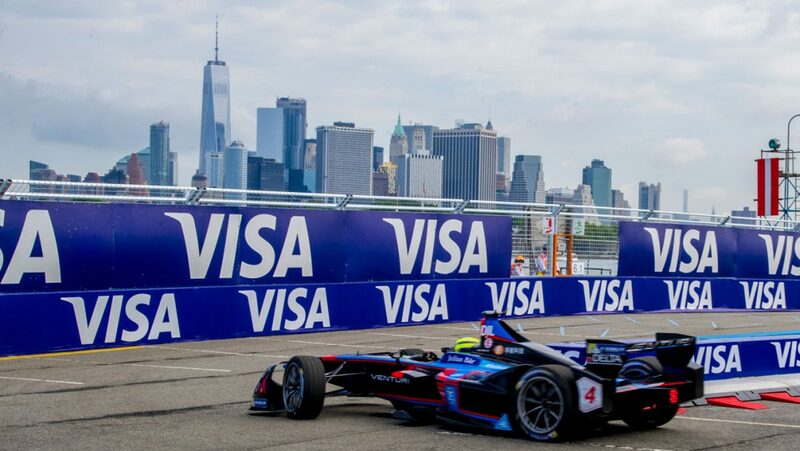 The Formula E events, being contested at the Brooklyn Cruise Terminal, are the first major races to take place within New York City’s five boroughs in modern history. The 1.2-mile, 10-turn circuit winds through the waterfront neighborhood of Red Hook, Brooklyn, and features stunning views of the iconic Manhattan skyline and the Statue of Liberty. Ralph Sheheen hosts FOX Sports pre-race coverage from Brooklyn, teaming with the Formula E broadcast team of Bob Varsha (host), Martin Haven (play-by-play), Dario Franchitti (analyst) and Nicki Shields (pits/interviewer). *Both races available streaming live on FOX Sports GO. 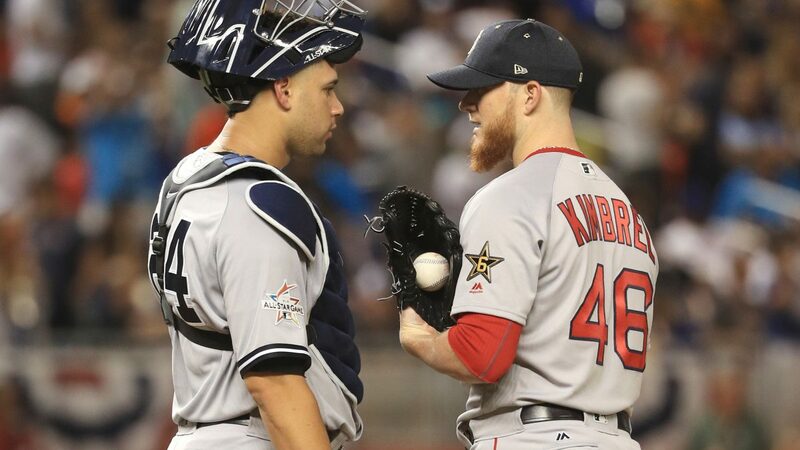 MIAMI – Major League Baseball’s 88th All-Star Game presented by Mastercard, in which the American League edged the National League 2-1 in 10 innings last night on FOX, delivered a 6.5/11 overnight rating/share according to Nielsen Media Research. Tuesday night’s contest from Marlins Park in Miami is up +2% over last year’s 6.4/11. With the addition of FOX Deportes, last night’s game scored a 6.6/11. The 2017 Midsummer Classic experienced year-to-year metered-market ratings gains for the first time in five years. Last night’s contest is projected to be FOX’s best night in primetime since Super Bowl LI and its best Tuesday night since Game 6 of the World Series in November of 2016. Kansas City led all markets with a 16.6/28, the third straight year that they’ve topped all markets, followed by St. Louis (12.1/21), Cleveland (11.9/21), Minneapolis (9.6/19), New York (9.2/16), Houston (8.9/16), Cincinnati (8.8/15), Denver (7.9/16), Phoenix (7.8/14) and Washington D.C. (7.7/15), to round out the top 10. Hometown Miami delivered a 5.6/10. CHARLOTTE, NC –Tonight marks the first time two women have co-hosted NASCAR RACE HUB, NASCAR’s most-watched news and highlights program that debuted in 2009. Regular co-host Shannon Spake is joined at the desk by Kaitlyn Vincie to lead Wednesday’s edition, airing on FS1 at 6:00 PM ET. Austin Dillon serves as the driver analyst. Sunday’s NASCAR RACEDAY (12:00 PM ET on FS1) offers an in-depth interview with Matt Kenseth, who, it was announced Tuesday, is being replaced by Erik Jones for the 2018 season. Kenseth talks with Kenny Wallace in a “Riding Shotgun with Kenny Wallace” feature. Also airing during NASCAR RACEDAY is a Kaitlyn Vincie sit-down with Joey and Brittany Logano that, among other topics, explores their journey to parenthood. 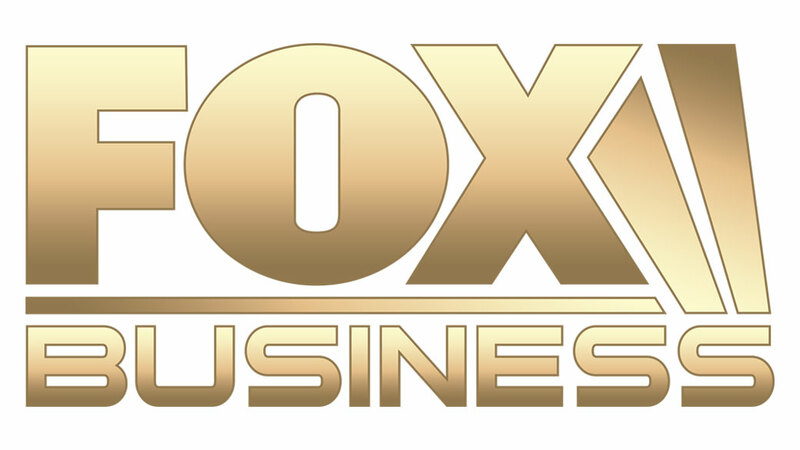 Kevin Harvick is scheduled to appear on FOX Business Network’s MORNINGS WITH MARIA on Monday, July 17, to discuss the Wednesday, July 19, NASCAR CAMPING WORLD TRUCK SERIES race from Eldora Speedway, airing live on the network at 9:30 PM ET. Harvick’s hit is scheduled Monday for late in the 8:00 AM ET hour. The former champion is serving as a FOX Sports analyst for the race alongside Vince Welch and Michael Waltrip.